Guided summit hike to Mt. Litltind; view of Sjunkhatten National Park in Bodø. Photo: Raymond Jenssen. A hike with view: The route starts through sparse pine forests following a well-marked trail. This guided summit hike ascends 630 m over 3 km. National Park & the sea: As the tree line is only 300 m up, you’ll have a great view all the way. 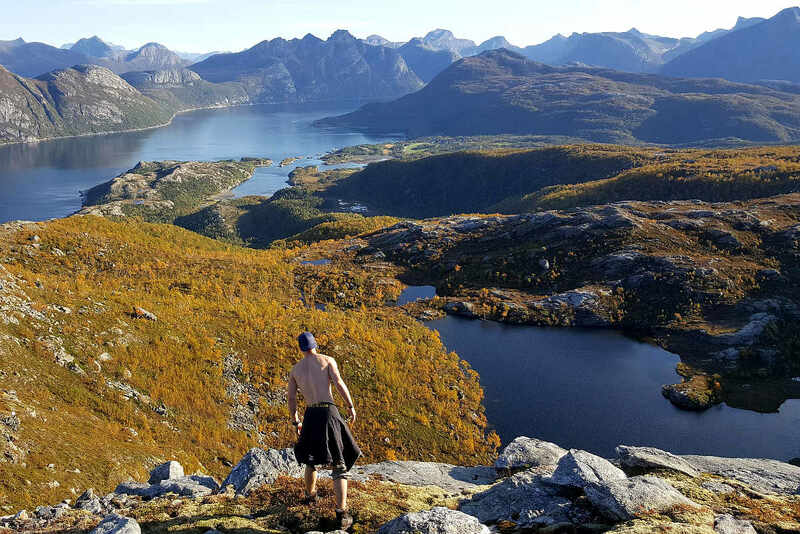 To the east: the best view of Sjunkhatten National Park, a glacier-formed landscape with untouched fjords and inaccessible peaks. To the west? The open sea and the coastline. Exposed summit: Reaching Mt. Litltind is not technically difficult, but the hike is steep in a few places. Reaching the true summit requires passing some scree, boulders and exposed scrambling up quite steep rocks. No lazy stroll: The guided hike up Mt. Litltind is no lazy stroll. 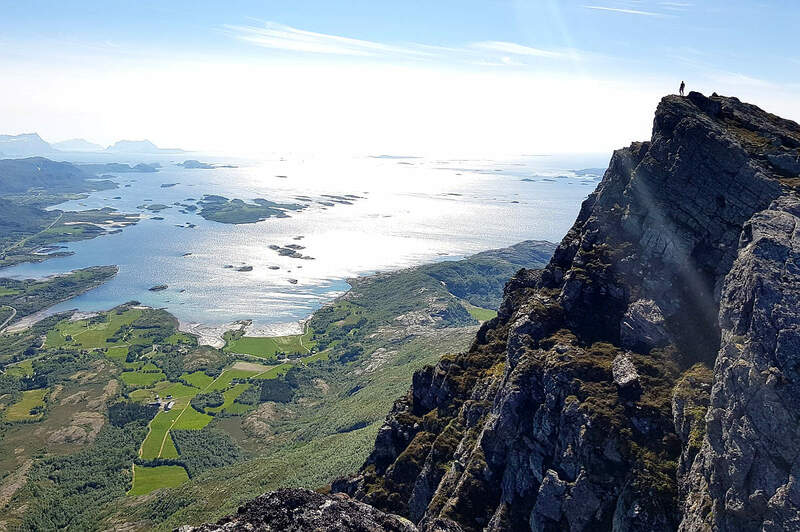 If you like peak bagging, then you know the big reward: the scenic view from the top and a new perspective on everything you hiked up to get there. Hard. Please see details below. Is this trip for me? 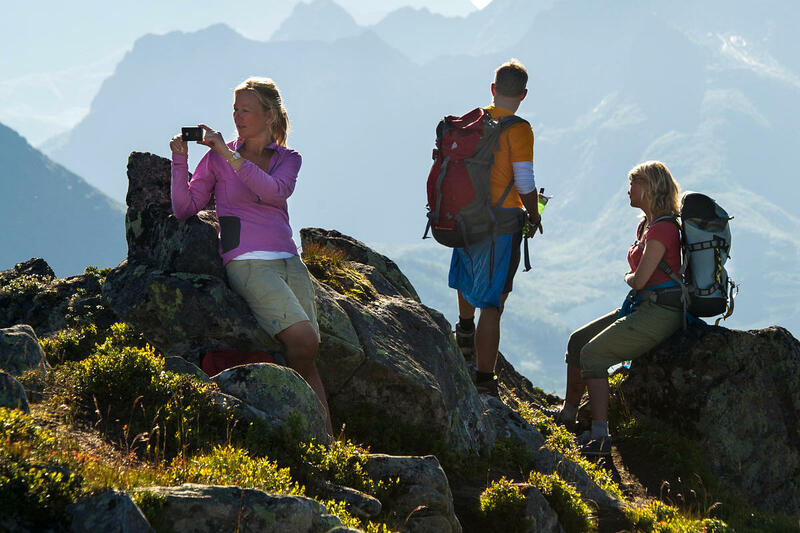 This trip is designed for intermediate or experienced hikers and anyone contemplating this trip needs previous hiking experience in alpine terrain. You should be prepared for some exposure along the summit ridge, but we will ensure you remain a safe distance from that. Grading: This trip is graded as Medium/Hard – Blue grading. 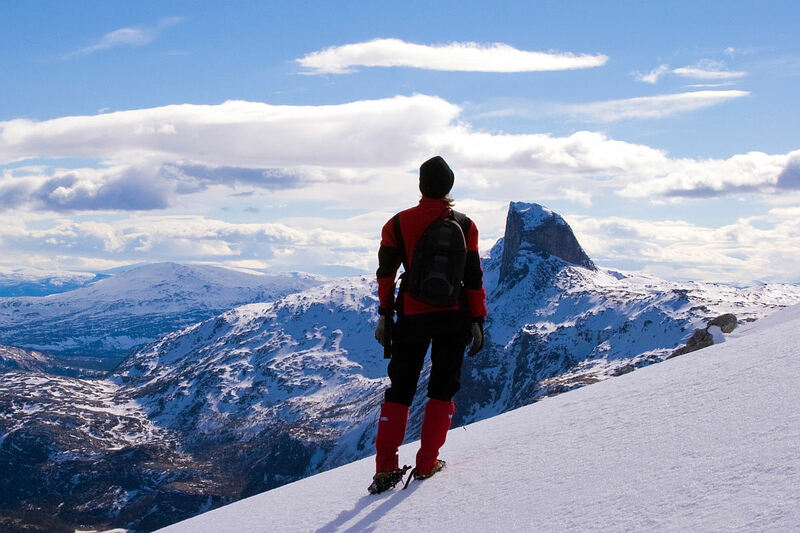 Terrain: You must be able to walk on rugged trails, uneven terrain, scree and steep rocks. Elevation: A total of 640 m from the starting point 80 metres above sea level to the summit of Mt. Litltind, 717 m a.s.l. 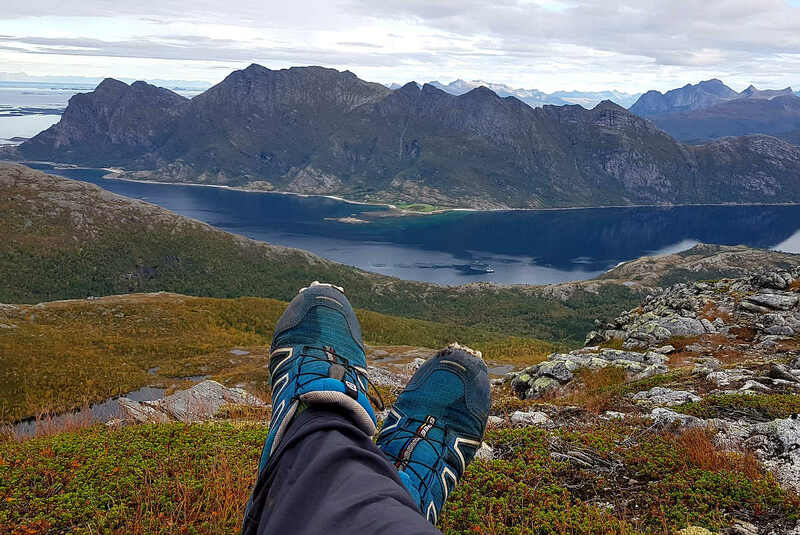 Good footwear (hiking boots or sturdy running shoes). Snow spikes if required to cross snow fields (early season and/or winter). It’s possible to hike up Mt Litltind on cloudy days with light rain. However, on days with heavy rain and low cloud cover, we don’t recommend this trip. Save it for a day when the summit is free of clouds, so you can enjoy the view. 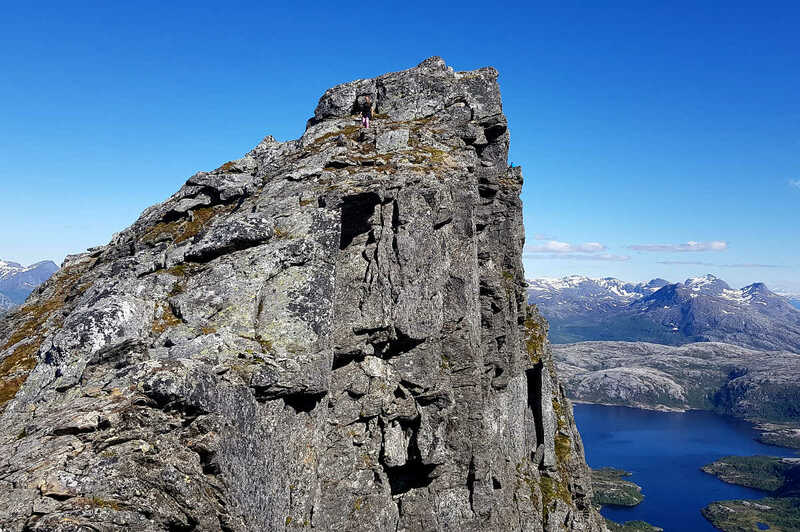 Need More Info About Hiking Day Trips in Bodø?